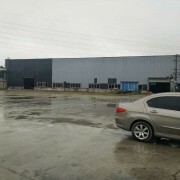 The factory located in Wenjiang district,Chengdu city,Sichuan province. The Company's long-term supply of the old summer clothes for export,reclaiming of large quantity of various used hibernal clothes such as jeans,sweater,etc. clean, not moist, without fading,80% new. we do not need old style and clothes of the aged. sell: clothes for exporting with labels and package.We are seeking for good cooperated business partners. please contact us!